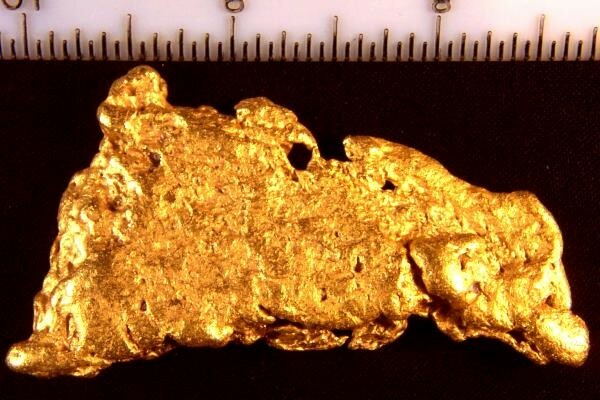 This gorgeous Australian gold nugget is shaped like a deer lying down. You can clearly see the shape of the deer's head, with snout and ears, and the rest of the deer's body curled up as they do in the wild. 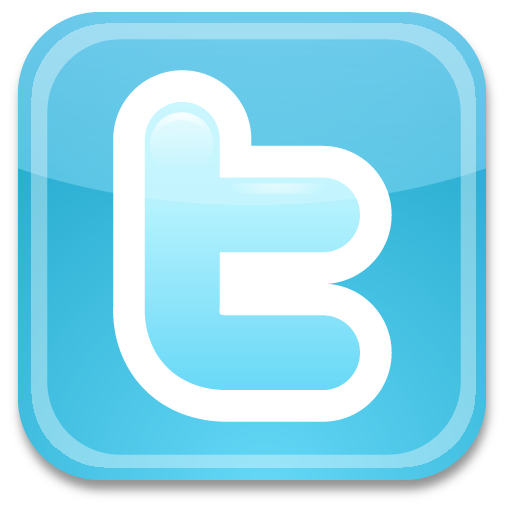 It also looks like there is a crow sitting on it's back. 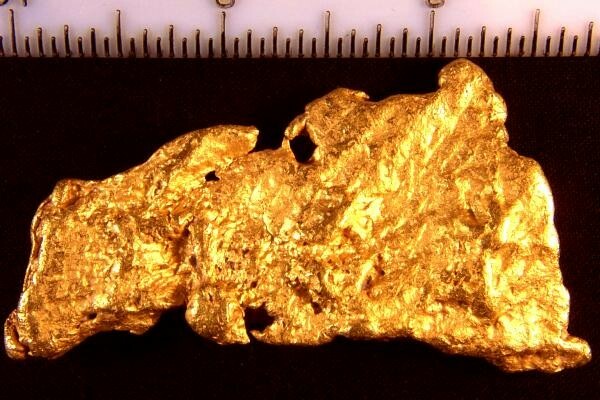 This are gold nugget is huge, weighing in at 4.09 Troy Ounces (127.3 Grams). The surface area is very large at 2.75" long x 1.25" wide x about 5/16" thick. This is your chance to own a rare and beautiful Australian gold nugget that is a cut above the rest. It is clean and free from host rock and mineralization, making it a jewelry/investment grade nugget, the highest grade there is. Australian gold nuggets are very pure 22KT - 23 KT (92% to 98% pure), making them some of the purest gold nuggets on earth.